There are so many just plain silly toys out there but what I like to see kids play with are things that actually build the imagination and motor skills. Toys they can learn from. That's what I like about these 3 toy sets that I recently had the pleasure to receive to try out. 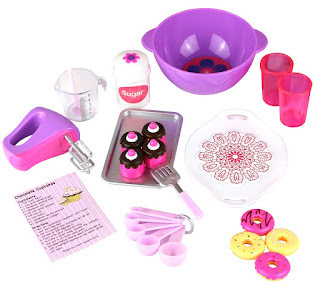 The first set is Click n' Play Doll Baking Set. It comes with mixer, mixing bowl, recipes, spoon, spatula,measuring spoons, measuring cup, canisters to hold the ingredients,apron, chef hat, oven mitts, donuts, cupcakes, and more all designed to use with an 18" doll. This set is so cute and will be used for hours of imaginary baking fun. 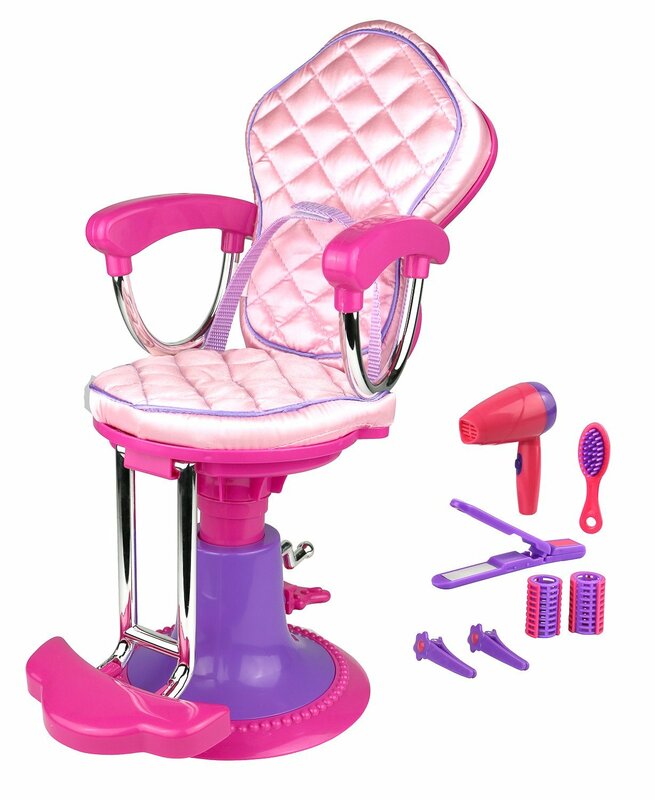 The next set is Click n' Play Doll Salon Chair and Accessories. This is also for use with an 18" doll. This set comes with the salon chair that has an upholstered back and seat. The foot rest flips up and down to adjust the height. There's also 2 hair curlers, 2 hair clips, hair dryer and hair straightener. So very cute! 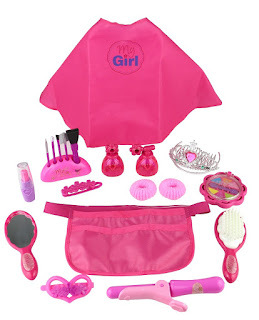 Lastly there's the Click n' Play Doll Hair and Beauty Accessory Set. This set comes with apron, mirror , brush, hair clips, hair bands, crown, and curler. There's also makeup brushes, cosmetics, lip stick, nail polish bottle, perfume bottle. These set will ensure hours and hours of playtime for any little aspiring cosmetologist or chef. I know my grand daughter loves them.